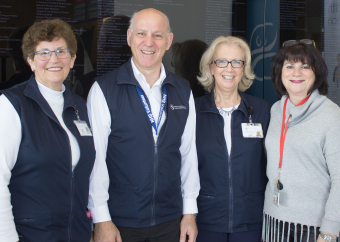 “Volunteering offers people the chance to make a difference in the lives of our patients and to give back to the community,” says Tracey Giovannone, Manager, Recruitment and Volunteer Services at Niagara Health. “For others, it provides an opportunity to develop new skills, meet new people or it can provide a sense of accomplishment. Regardless of the motivation, what unites them all is that they find it rewarding and our volunteers take great pleasure in helping others.